Flash back to 2008 I was living in Orange County California. 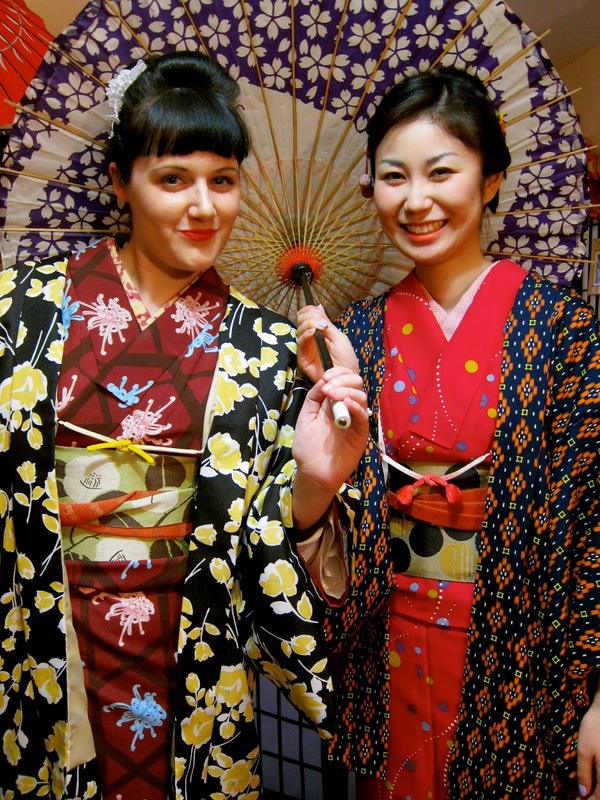 On New Years Eve my Japanese friend and I dresses in vintage kimono and photographed ourselves. 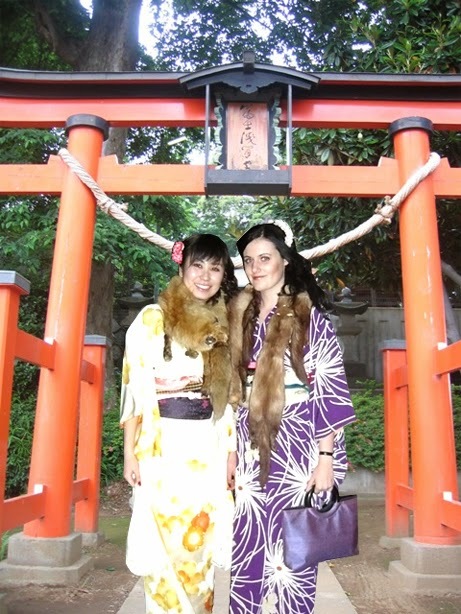 My friend then used Adobe Photoshop to send us halfway around the world to Kyoto, Japan, where she superimposed pictures of us in front of the famous Golden Pavilion and Inari Shrine. We had a great laugh at the photos, but little did we know that six years later we would be living the fictitious images we had created. In 2014 I travel to Kyoto, for real this time. I met up with that same Japanese friend, who is now working in Osaka, and we donned vintage kimonos which we rented from a local shop. 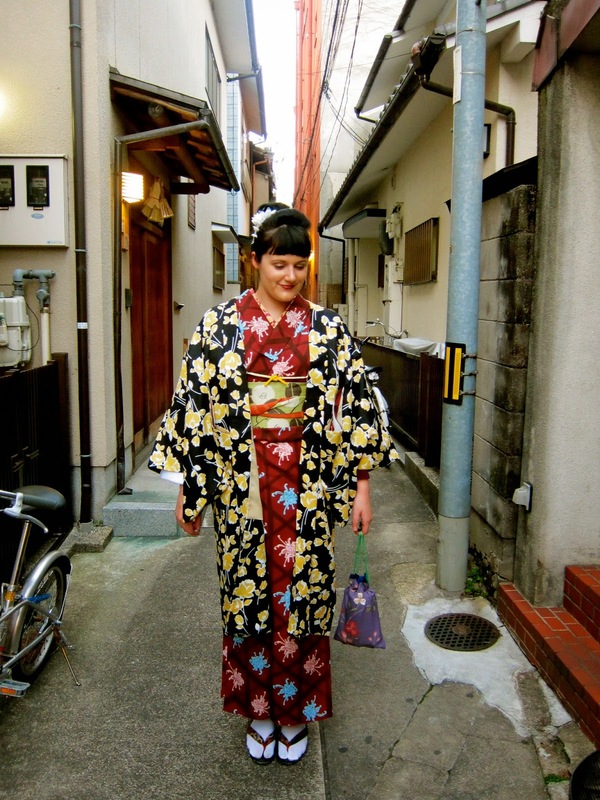 We paraded around the historic streets of Gion in our kimonos, where both tourists and locals alike took pictures of us. 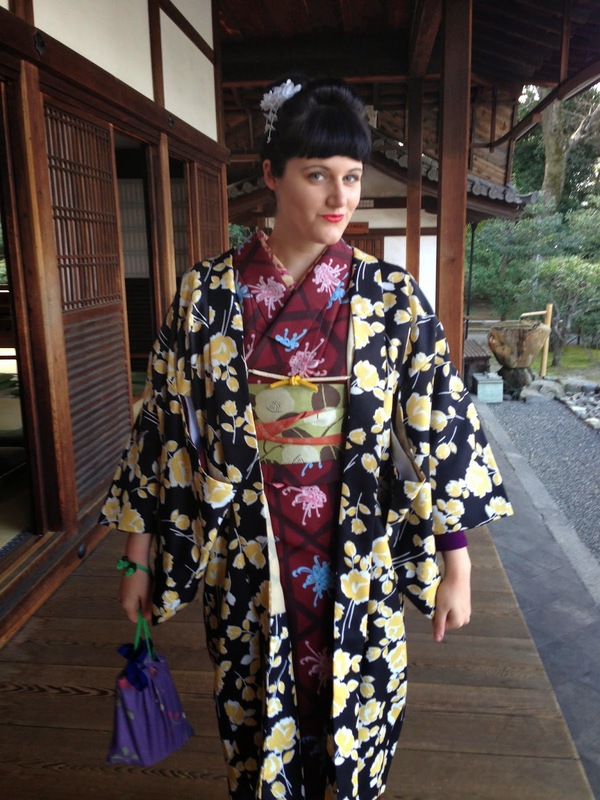 We went to posh cafes and divvy restaurants in our kimonos. We drank coffee, and ate ramen in our kimonos. We went to a temple and used the backdrop of historic Japan for some for the images, and then in true juxtaposing fashion we want to an arcade and used the backdrop of modern Japan for some of our images. 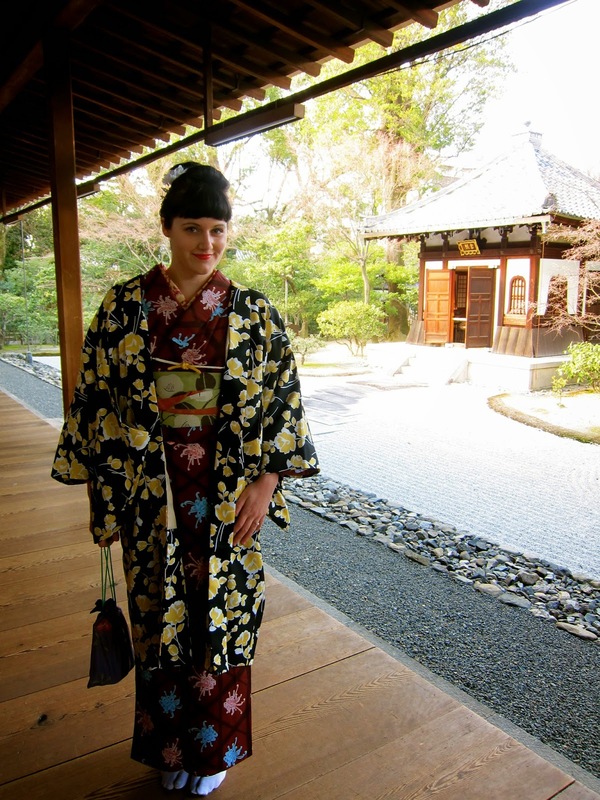 Then when the clock struck six it was time to return our kimonos, and we ran like Cinderella back to the rental shop, panting so hard we felt like we had already turned into pumpkins. Two friends, six years later, making dreams come true.